Endometrin monotherapy provided comparable pregnancy rates (PRs) in fresh autologous and fresh donor oocyte cycles. The addition of P in oil to Endometrin improved PRs in frozen transfer cycles. Eve C. Feinberg, M.D., Angeline N. Beltsos, M.D., Elitsa Nicolaou, B.S., Edward L. Marut, M.D., Meike L. Uhler, M.D. To compare clinical pregnancy rate (CPR) and live birth rate (LBR) between Endometrin monotherapy vs. Endometrin and progesterone in oil (PIO) combination therapy in ART cycles. Patients undergoing autologous fresh IVF cycles, autologous frozen embryo transfer (FET) cycles and fresh oocyte donor (OD) cycles were included for analysis. Endometrin as a single agent for luteal support, Endometrin monotherapy or Endometrin with P in oil used at least once every three days for luteal support, Endometrin combination therapy. A total of 1,034 ART cycles were analyzed. Endometrin monotherapy was utilized in 694/1034 (67%) cycles and Endometrin combination therapy was used in 340/1034 (33%) cycles. In all fresh cycles, CPR was not significantly different (IVF autologous: Endometrin monotherapy 46.9% vs. Endometrin combination therapy 55.6%; donor oocyte Endometrin monotherapy 45.2% vs. Endometrin combination therapy 52.0%). Frozen embryo transfer cycles had a significantly higher CPR and live birth rate (LBR) with combination therapy group compared to monotherapy (CPR 47.9% vs 23.5%, P=0.004, LBR 37.5% vs. 17.3%, P=0.0015). 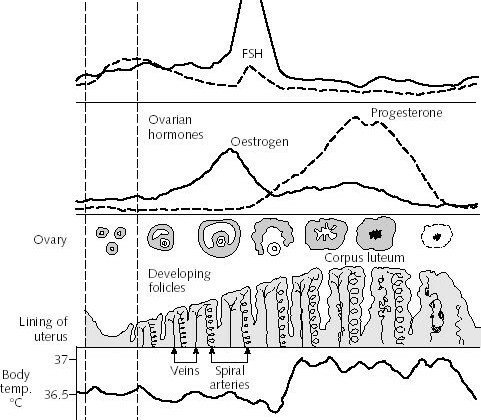 Endometrin monotherapy was sufficient for the progesterone component of luteal support and provided high pregnancy rates for fresh cycles in both autologous and donor oocyte cycles. CPR and LBR in FET cycles were significantly improved with the addition of IM progesterone to Endometrin therapy. This may reflect the fact that lesser quality embryos are transferred in FET cycles, and more intense progesterone support is required for comparable pregnancy rates.